perhapablog... and other ramblings: UFO! 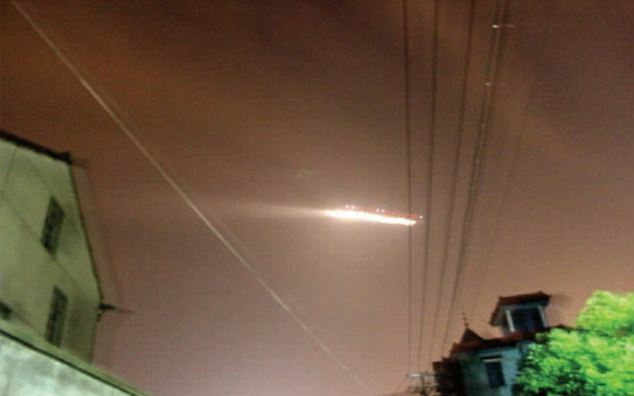 Xiaoshan Airport was closed after the UFO was detected at around 9 pm and dozens of flights had to be diverted. 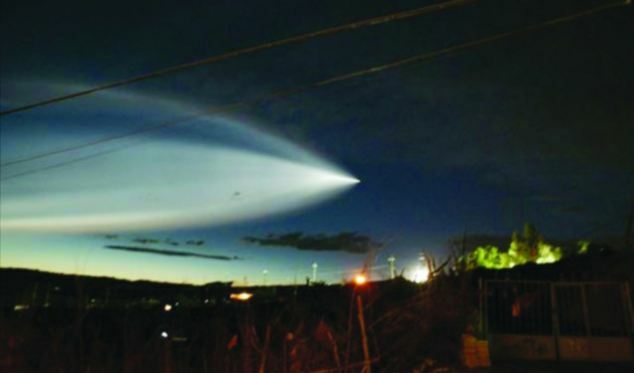 Stunned witnesses reported seeing a comet-like fireball in the sky and a number of local residents took photos of the strange ball of light. A local bus driver, giving his name only as Yu, said he had seen a strange glowing object in the sky late on Wednesday afternoon. 'The thing suddenly ran westwards fast, like it was escaping from something,' he said. Inbound flights were diverted to nearby airports while outbound flights were delayed for three to four hours. Some Chinese experts claimed that the strange sight was actually debris from a US intercontinental ballistic missile. An official statement is expected later today. the other day i was watching a movie from the 80s that was supposed to be taking place in 60s that was directed by a guy who created a tv show in the 70s about growing up in the 50s...which has absolutely nothing to do with the following questions about the 50s. not the decade--just the numbers. 1. number of varieties that heinz boasts. 2. top secret air base in nevada (where they allegedly keep the aliens). 3. new york's most famous--and infamous--disco club in the 70s. 4. five-oh! where did this slang term come from and why? 5. cop comedy from the early 60s. "car __, where are you?" 6. card game that involves the dealer firing the cards all over the room. bonus: can you name the movie from the 80s about the kid in the 60s? and the creator of the show from the 70s about life in the 50s? the movie from the 80s about the kid in the 60s was the flamingo kid (1984). the director was the creator of happy days (and laverne and shirley and mork and mindy, etc.) was garry marshall, one of my heroes. Completely misunderstood the movie question. Thought it was two separate questions. As for that UFO, very interesting, but trying to get good intel out of China is like trying to get a donation to B'nai B'rith out of Mel Gibson. The pictures are from two different sightings. The People's Daily ran a story and the second pic July 6, the day before the airport sighting. Lots of English sites have messed this up, though you won't find the China papers doing so. @brian. hah! that was good!! didn't get to read the rest of the article, but looks pretty legit to me. i want to take some time to read those comments you mention, maybe tomorrow.